Many falsities are accepted as “truth” which creates an illusory perceptual framework of reality that blinds us to what is actually happening. 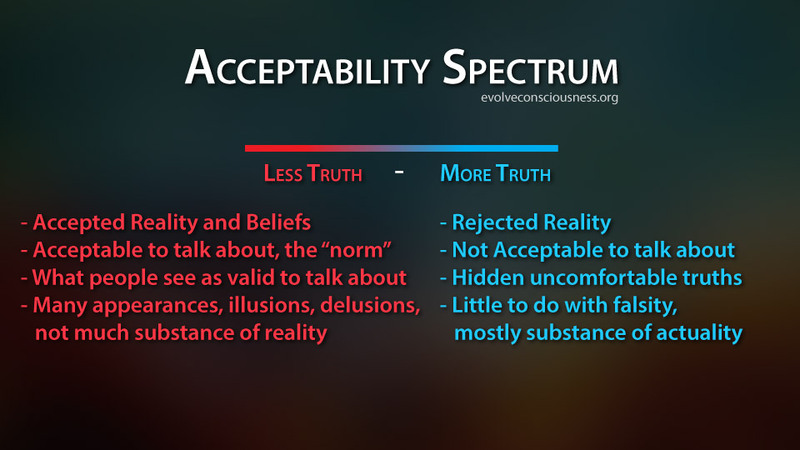 By digging deeper into the false reality we have been conditioned into tacitly accepting, we can begin to uncover the hidden parts of reality that exists outside of the normalized standards of acceptability and vision that people are restricted to seeing. Only by knowing the methods in which we are being deceived and made to believe in falsity, can we begin to progress in evolving consciousness and actualizing truer, realer and higher potential versions of ourselves. This is part of many ancient stories, tales, mysteries, legends and myths, about living in the path and way of truth, “love”, right, good, “higher self”, “higher will”, “spirit”, etc. The conditioning into falsity has our truer potential selves inhibited from being, from living out what is more right, good and true towards a fuller potential realization and actualization. Our truer potential self is at the core of our being, but has been masked and overridden by subsequent programming into the conditioning of false living that preexists in society. We are formed, shaped and molded by the environment around us, with all the truer and the falser ways of living within. 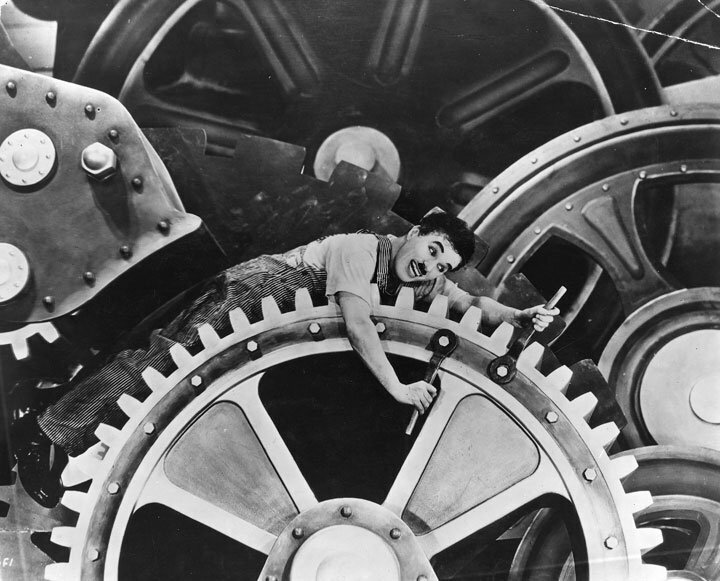 The current condition is the template we use to copy and conform to society and its normalcy. The falsities of society then become false proxy substitutes for the real things that we deeply long to live, exemplify and embody deep down to our core being (truth, morals, principles, values). But we are denied the greater realization, actualization, individuation and fulfillment of becoming that truer, realer and higher potential version of ourselves. Our ego-personality-identity construct is programmable, and as such, can receive input from different sources to develop into what it becomes. Garbage in, garbage out. Quality in, quality out. Where does our time, attention, energy, effort, determination, dedication and persistence go? We need to prioritize learning truth and morality and bring that more into the way we are living. Social normalcy describes the acceptability provided by the conventions of society. Successful integration into the various social constructs (culture, tradition, fashion, etc.) is dependent upon the compliance and conformity with the normalcy of that social subsystem that is part of the global social organization. Each successive subconstruct is more “individuated” towards a particular conditioned form or image (different cultures, countries). This conditioning is seen in duty and responsibility towards false ways of living that are believed to be legitimate, “good” and “ordered”. This is obvious in the degrees of devotion of various constructs man creates, such as fashion groupings, particular activities people group themselves around, in-group vs. out-group identifications of other kinds, religion, politics, police, military, elitism, and other favoritism to be in certain groups for social acceptability. Each subsystem/subconstruct set itself apart from the greater aggregation of cultures or civilization, and provide directed avenues of structured and controlled “variability” or “freedom”. This so-called variability is a false proxy of “individuality”, and leads one to become attached to a pseudo-individuality construct. These false pathways and avenues of so-called “freedom” for people to allegedly “choose” from, is part of the process of forming our self-image and identity, and our worldview. For the most part, these preselected paths also provide a re-channeling of the energy of each individual unit into a “free-market” allocation of their universal constructibility. We are universal constructors, capable of performing an almost infinite number of tasks and operations to procure, preserve, protect and project the system of control and enslavement that influences, molds and shapes with outcome-based education. We sustain the system by being interchangeable universal constructors, capable of fitting ourselves into a particular avenue or pathway of energy generation within the system, as a replaceable cog in the machine. sourceIn the scientific dictatorship of pure utilitarianism and systems thinking, we are essentially just numbers, human resources, energy units to be used to accomplish specific goals, controlled in a similar way to the hive mind of queens in insect colonies. We have to work to remove falsity in ourselves and the world, in order to let that which ‘is’, truth and moral truth, shine through unadulterated from our core being. It can be viewed in this negative pathway of removing falsity, or as actively bringing in what is right, good and true in order to realize (real eyes realize real lies) and identify the falsity to remove it. As we accept and spread falsity, we become more untrue to our core being that seeks to align with reality in order to perceive, conceive, understand and navigate correctly, rather than foolishly fumble around. As a result of conditioning into falsity and living as a falser self, our sense of what is good, right and true gets corrupted. Our truer self potential is greatly diminished as a result of a diminished care for truth and morality within us. The compass of care, compassion, empathy, conscience is out of whack, out of alignment with the inherent “magnetic force” of our core potential to do better. As a result of our attachment to the falsity we use as a basis to form our ego-personality-identity construct, people don’t live by the objective tight and good, they choose their deeds based on what they can get away with, with what is subjectively “right” and “good” in their delusional morally relativistic framework. laws” are ridiculous, but yet those people never learn more about morality to understand it correctly. They just do whatever they can get away with within some man’s law, while moral law/truth is not even considered. “You can do what you want as long as you don’t get caught” becomes the life motto for conduct. If we want to realize, actualize and individuate more of our truer, realer and higher self potential, we need to seek out the falsity in us and the world, and seek to remove it. The truer self is referred to as the “True Self” for a reason. It is about being a higher self, “Self” with a capital ‘S’, in alignment with “Truth and Morality”, the higher principles and values in life to walk and live by. The “True Self” represents the “Higher Self of Truth and Morality” we are at the core of our “Being”, our “True Nature”, which would be the natural state of ourselves if falsity and false living were to be removed from our lives. That is why standing for truth and morality is standing for ourselves. The truer self potential we can become, the “true self” devoid of falsity, is the authentic self potential that underlies all our conditioning. It is being suppressed, constricted, and made unconscious by the various manifestations and expressions of the fear and falsity acting upon us to keep us down and keep us from seeking and knowing truth and morality. Care for truth and morality acts as an expansive blossoming “Force of ‘Love'” so to speak. We expand conscious awareness of reality and how to live on the path and way, driven by our “love” or care for truth and morality. 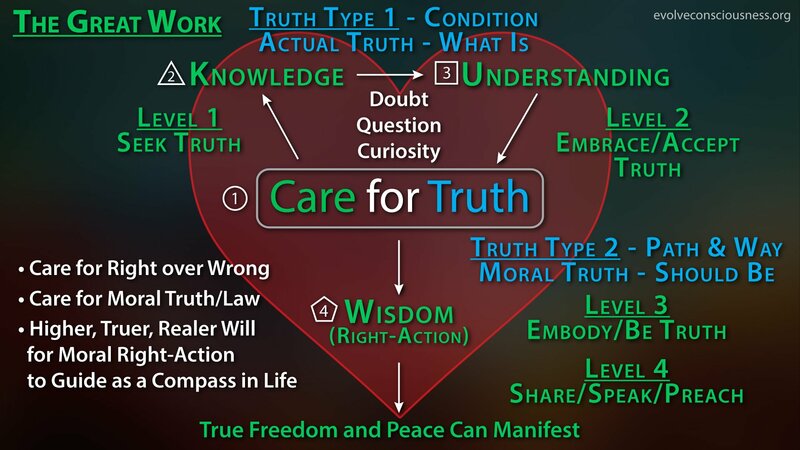 Care for truth and morality is what has us evolve consciousness and develop our truer, realer, higher potential versions of ourselves, by successive alignment of our percetions with reality as it ‘is’, and the embodiment of moral attributes and values. This is being more of our “true self”, not the falser self we are conditioned into adopting into our identity constructs. “True self”, being a truer self, is obviously based on truth and morality, not on falsity and immorality. The latter are corruptions to our core being that we are imposed upon us through the programmable aspect of our consciousness-self-psyche. We are shape-shifters, chameleons and cop-cats with the ability to copy from our environment and learn from whatever is there, including other people. We are influenced by other people’s behavior and the overall environmental conditions we live in. They become impositions on our ego-personality-identity construct that was essentially a blank slate upon birth. The social normalization programming conditions us, where we all influence each other and reinforce or diminish certain developments in our behavior to have us conform to an image, shape or form that society is trying to re-present as “authentic” and “legitimate”, while in truth, it is only a false proxy substitute. We become conditioned with many different characteristics, properties, attributes and qualities that make up our particular ego-personality-identity construct. Many of them are barriers of falsity that prevent us from using real eyes to realize the real lies, and restricts our potential for self-realization and self-actualization. The image at the top of the post is of the goddess Maat that symbolizes truth, right, good, justice, morality, authenticity, reality, etc. I have done work on the power of consciousness related to symbolism that explains more of the symbolism. We can make things better in any aspect of our lives. First we admit wrong, then we can imagine better.